We specialize in Vintage Postcards,Santa Claus Postcards,Holidays Greetings Postcards,Easter Postcards,Valentine Postcards,Christmas Postcards,Postcard Lots.We also sell a line of Special items including Paper Collectibles & Antiques .Please Visit Our Store! Thank You For Visiting Our Store! We Appreciate your business! We Gladly Combine Shipping on Multiple Items! Bookmark Us Add to Favorite Stores Sign Up For Our Newsletter! 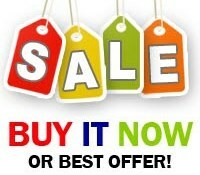 We Have Put Many Items on Sale!- look for the discount percentage in selected listings.More to come! Spread The Luv Greetings Vintage Postcards "We Strive to receive FIVE STARS FEEDBACK from all our customers. We hope that we have provided a FIVE STAR Experience for you as well." Thank you for your business! We sincerely appreciate it Andrea and Stacey The Standard is Five Stars Our goal is to provide five star service. 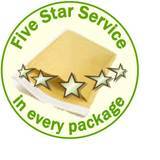 Five star service on ebay is our standard service. What is confusing about the Detailed Seller Ratings is that it may appear to you when making a choice of how many stars to leave that a rating of four stars is "good." An average rating of four stars is NOT considered a good Seller rating by ebay. An average rating of four stars is considered substandard and sellers with average ratings as low as four stars are penalized. I think that most ebay customers are not intending to penalize a seller when they leave a rating of four stars. If intending to leave less than five stars for for us in any of the Detailed Seller Ratings, we would appreciate it if you would let us know by email why you would leave us less than five stars and how we can improve our performance. The DSR system is anonymous which means that we have no clue why someone would leave us less than five stars. Please Visit Our ebay Store for more items like this! We have many beautiful postcards and We will be listing 60000 quality postcards in the next few months! We list new items everyday! Halloween Postcards, Christmas Postcards, Santa Claus Postcards, Valentine's Day Postcards, Holiday Greetings Postcards, Mixed Lot Postcards, Wholesale Dealer Lots of Postcards and More! Clapsaddle, Artist Signed, Christmas, New Year, Halloween, Easter & other holidays.